Epic! is a leading digital media brand for kids. Reaching 5 million children in homes and in schools, Epic! encourages kids to explore their interests and learn in a fun, safe, kid-friendly environment. Our award-winning service provides kids unlimited access to 25,000 curated, high-quality books and videos, including non-fiction titles, picture books, chapter books, graphic novels, audiobooks and learning videos; plus quizzes and reading lists. Kids love Epic! because it's fun, and parents and teachers love Epic! because it's educational. Partnerships with 250 leading publishers such as HarperCollins, Macmillan, Sesame Street, National Geographic Kids and Smithsonian bring an unparalleled selection of high-interest, educational content to kids in the U.S. and around the world. Content on Epic! is curated by a team of children’s publishing experts, and our algorithm tailors content offerings to each child’s reading level and preferences. Most importantly, Epic! is designed to encourage kids to discover and explore their interests, which fosters a love of reading and self-directed learning. Epic! is used in over 87% of U.S. elementary schools. Well-known content includes Ramona, Peter Rabbit, Fancy Nancy, Batman, Warriors, The Chronicles of Narnia, Nat Geo Kids, Sesame Street, Big Nate and many more. Epic! was founded by Suren Markosian, founder of several successful technology startups, and Kevin Donahue, former YouTube, Google and Disney executive, with the support of top tier investors and veterans of the children’s publishing industry. To learn more about Epic!, please visit www.getepic.com. 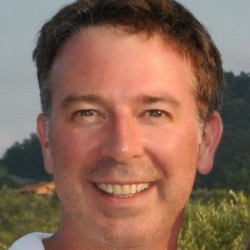 Kevin Donahue is an entrepreneur, angel investor and advisor to early-stage companies. Currently, he is the co-founder of Epic!, the first all-you-can-read e-book service built specifically for school-aged readers. Before founding Epic!, Donahue worked at Google in Strategic Partnerships and was a member of YouTube’s original team, serving as Vice President of Content. As part of YouTube’s senior management team, Donahue was head of marketing and led content partnerships, successfully establishing and managing YouTube’s earliest partnerships with major entertainment and media companies. At YouTube, Donahue helped shape the company’s early content strategy and spoke on behalf of the company at conferences and in publications including Newsweek, Forbes and The New York Times. Prior to YouTube, Donahue was Director of Business Development at start-up, Akimbo Systems, an Internet-to-TV video on demand platform. Prior to Akimbo, Donahue was co-founder and Vice President of Product, then Vice President of Business Development for home page community start-up, Urbanite Network, Inc. 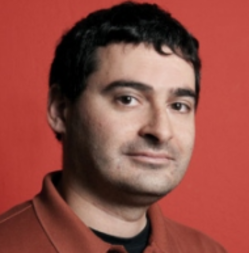 Prior to Urbanite, Donahue led a large team at Turner New Media (Turner Broadcasting, Inc.), where he designed, launched and managed Cartoon Network’s web presence, working closely with world-class creative talent and developing innovative content around classic cartoon brands. Prior to Turner, Donahue was a producer with Disney/ABC Television’s Multimedia Group where he designed and managed ABC’s first online community for kids, creating award-winning games and educational content. Donahue began his career in television with DIC Entertainment and has written and developed series programming for Disney, ABC, Fox, Cartoon Network and others. Suren is the CEO and co-founder of Epic!, the first all-you-can-read e-book service built specifically for school-aged readers. He is a successful, serial entrepreneur and founder of several consumer tech startups, including CrowdStar, which rose to become one of the largest social gaming companies with over 200M users, second only to Zynga. Having created and successfully scaled large entertainment and e-commerce businesses to serve hundreds of millions of customers, Markosian is an expert in product design, gamification, technology, scalability, consumer growth and marketing. July 14,2017 | United States | Health & FitnessSan Francisco, United States, July 14,2017/Free-Press-Release.com/ -- Global Healthcare IT Market Report, published by Variant Market Research, forecast that the global market is expected to reach $382 billion by 2024 from $140 billion in 2016; growing at a CAGR of 13.4% from 2016 to 2024. Furthermore, rising demand for progressive analytics tools to improve the value and efficiency of healthcare industry would provide market opportunities in the near future.The segmentations of the global healthcare IT market are type, end user, and geography. Healthcare payer solutions, healthcare provider solutions, and HCIT outsourcing services are the sub-segments of type segment. The healthcare provider solution segment is categorized into clinical solutions and non-clinical healthcare IT solutions. By end use, the market is segregated into healthcare payers and healthcare providers.Get Sample Report @ https://www.variantmarketresearch.com/report-categories/medical-devices/healthcare-it-market/sample-requestBy type, the healthcare provider solutions accounted for the maximum market revenue in the year 2016. Studios reap a smaller percentage of ticket sales from Chinese theatres. Nearly a month after opening, Patty Jenkins’ Wonder Woman continues to be a major draw. (Tie) Wonder Woman, $25.2 million ($20.5 million international). ———Estimated ticket sales for Friday through Sunday at international theatres (excluding the U.S. and Canada), according to comScore:1. Wonder Woman, $20.5 million. This image released by Paramount Pictures shows Optimus Prime in a scene from, "Transformers: The Last Knight." (Paramount Pictures/Bay Films via AP)This image released by Warner Bros. Entertainment shows Gal Gadot in a scene from "Wonder Woman." But Paramount Pictures’ “The Last Knight,” the second “Transformers” movie to star Mark Wahlberg, still showed its might overseas. Nearly a month after opening, Patty Jenkins’ “Wonder Woman” continues to be a major draw. (Tie) “Wonder Woman,” $25.2 million. But Paramount Pictures’ “The Last Knight,” the second “Transformers” movie to star Mark Wahlberg, still showed its might overseas. And reviews — though never much of a factor in “Transformers” land — were worse for “The Last Knight” than the earlier films. Nearly a month after opening, Patty Jenkins’ “Wonder Woman” continues to be a major draw. At the Cannes Film Festival last month, Coppola won best director, becoming only the second woman to do so. “Transformers: The Last Knight,” $ 45.3 million ($196.2 million international). —The Milwaukee Journal Sentinel published an in-depth report on electronic patient health records interoperability, or the ability of different hospitals and clinics to exchange patient data. Ninety-six percent of hospitals now use electronic health records, the newspaper reported, but the industry still has a long way to go. —The University of Wisconsin-Madison said it recently created a class that teaches students how to fly drones. Tech employees make up 7.9 percent of Madison’s workforce, higher than the national average of 4.8 percent, according to Cushman & Wakefield (PDF). —Startups in Wisconsin raised more than $276 million in 2016—a 6 percent increase over the previous year—according to a report published by the Wisconsin Technology … Next Page »Jeff Buchanan is the editor of Xconomy Wisconsin. Starring Tom Cruise, The Mummy registered sales of about $32 million in U.S. and Canadian theaters, researcher ComScore Inc. said. The Mummy became the latest summer movie to disappoint U.S. fans, despite having Cruise in the lead. 1 in 46 countries, including China, where it earned an estimated $52.2 million, Universal said. Though studios receive half the ticket sales from China as they do in the U.S., executives at Universal pegged The Mummy as a success. Baywatch, Paramount, $4,648,207, 2,832 locations, $1,641 average, $51,113,342, three weeks Megan Leavey, Bleecker Street, $3,810,867, 1,956 locations, $1,948 average, $3,810,867, one week. You're having a heart attack. What does the ER know about you? The goal is an essential step in making full use of electronic health records. “In a fragmented, highly specialized health care system, you can’t deliver efficient, high-quality health care without sharing data,” said Mark Braunstein, a physician and a professor at Georgia Institute of Technology. Wisconsin, which was at the forefront of the move to electronic health records, does better than the country overall. CommonWell now has more than 50 members, including companies that sell software for nursing homes, home health care and hospice care. To add to the confusion, there also are regional health information organizations — such as the Wisconsin Statewide Health Information Network, commonly known as WISHIN — that have had varying degrees of success. Xealth Raises $8.5M to Help Doctors Prescribe Digital Health AppsXconomy Seattle —With more digital health apps and devices popping up each week, the debate continues about their effectiveness at improving health. There’s no easy way to monitor usage or remind a patient who is not adhering to a prescribed digital health service across different apps from a central location. Xealth is not positioning itself as an arbiter of the digital health products and services to be prescribed over its platform. However, the company does plan to help its customers evaluate those services through ongoing measurement of their effectiveness and patient health outcomes. By enabling doctors to easily prescribe digital health services and remind their patients to use them, Xealth could help boost usage of the services, McSherry says. ‘Wonder Woman’ stays strong for second weekNEW YORK >> The audience for “Wonder Woman” slid less in the film’s second week than any superhero film in more than a decade, leaving the acclaimed Warner Bros. release no. “Wonder Woman” sold $58.5 million in tickets over the weekend in North America, according to final box-office figures today. Even in its second weekend, “Wonder Woman” thumped the newly released, terribly reviewed “The Mummy,” which debuted poorly with $31.7 million. “Wonder Woman,” Warner Bros., $58,520,672, 4,165 locations, $14,051 average, $206,343,175, 2 Weeks. “Diary of a Wimpy Kid: The Long Haul,” 20th Century Fox, $656,843, 897 locations, $732 average, $19,379,101, 4 Weeks. The company will use the funds to accelerate growth, expand its team and build out its platform in both the home and in schools. Kids on Epic! have access to non-fiction titles covering thousands of topics, picture books, chapter books, graphic novels, “read to me” books, learning videos, and teacher-created quizzes and reading lists. “By providing kids with a fun and expansive platform based on interest-based reading and learning, Epic! since launch, with 24 million books read in just the last month, alone. Epic, which offers a digital subscription service for children’s books, has just raised $8 million in a Series C round led by Reach Capital. Epic launched its Netflix-like subscription service in 2014 with 5,000 digital books. Epic tailored its subscription plan for the consumer market, charging parents $4.99 per month for unlimited access to the digital library. “What’s exciting to us is the involvement of teachers,” Donahue, a former YouTube and Disney executive, tells EdSurge. With other digital book subscription providers waning, he claims there’s only one competitor he’s eyeing: Amazon. Kids digital media brand Epic! has raised US$8 million to accelerate the growth of its subscription book and video service both in homes and schools. Series C funding for the California-based content and learning platform was led by Reach Capital with participation from TransLink Capital, Rakuten Ventures, Menlo Ventures, WI Harper, Brighteye Ventures and Innovation Endeavors. for Educators to provide elementary school teachers and school librarians with free access to the platform, which is now used in 87% of elementary schools in the US. Since its launch, more than 160 million books have been read through Epic!, with kids perusing 24 million titles in the past month alone, according to the platform. 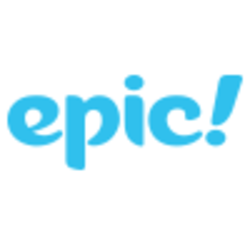 Kid-focused digital library service Epic has raised $8 million in a series C round of funding led by Reach Capital, with participation from Rakuten Ventures, Menlo Ventures, TransLink Capital, WI Harper, Brighteye Ventures, and Innovation Endeavors. Founded out of Palo Alto in 2014, Epic offers unlimited access to around 25,000 books for $5 per month. The mighty Amazon offers Kindle Unlimited, which serves access to more than a million books for $10 a month, and it also offers Prime Reading as part of its annual Prime subscription service. Elsewhere, Scribd used to offer an unlimited ebook subscription service for $9 per month, but it recently introduced a monthly three-book limit which, to be fair, is probably more than enough for most people. Epic launched its Educators-focused platform back in 2015, giving teachers free access to the Epic platform. A new report from KLAS, titled “Global EMR Market Share 2017,” has the answers. InterSystems and Epic stood out as the multiregional vendor winners, with InterSystems scoring 56 new hospital wins and Epic gaining 31. AdvertisementOverall, the report claims InterSystems’ strong year was due in part to its low-cost solution, compared to Epic, which the report cited as a higher-cost option. Among public hospitals, Cerner is the most popular EHR vendor. The United Arab Emirates Ministry of Health was a big Cerner customer, even helping a separate hospital move from Epic to Cerner. Guest post by Jonathan SoThe sketchnote (provided by @debbiedonsky) to the left sums up my epic journey of the past two years to give up grades. Since it has been a fabulous ride, I'm eager to share some of the journey. And by "school", I don't mean our individual boards or schools, but the ideals of school or education systems in general. First Iteration of the Process:All grades were dropped on my students' work and students only received feedback. Additionally, the board was used to share goals and ideas that they wanted to work on this term. As technology changes and evolves, so do our reading habits. While this age-old pastime used to mean trips to the library or bookstore, devices like smartphones and iPads have made reading a digital habit, one that's accessible to virtually anyone, anywhere. Apps have especially influenced this new reading experience, thanks to capabilities that cater to the individual reader and put the entire experience in the palm of a hand. We've put together our 10 favourite book and reading apps for iOS. The best part is they're all free — and guaranteed to be the new obsession of every bookworm out there. The biggest public health system in New York is spending big money on an electronic health records system to save more money annually and improve administrative efficiencies. NYC Health + Hospitals, which is made up of 11 hospitals and sees more than 1 million patients annually, is spending $289 million over the next five years to install a new systemwide electronic health records system from Epic Systems Corp. When fully operational, better electronic records technology will help NYC Health + Hospitals become more efficient by reducing claims denials, submitting claims documentation quicker and accelerating reimbursements. With better electronic health records technology patients will more easily be able to see and understand the costs of their care and to pay bills online, says NYC Health + Hospitals. NYC Health + Hospitals include Bellevue, Coney Island, Elmhurst, Harlem, Jacobi, Kings County, Lincoln, Metropolitan, North Central Bronx, Queens and Woodhull. A new report from KLAS found Epic and Cerner each held about one-quarter of the acute care hospital EHR market share in 2016. AdvertisementWith the largest market share, Epic is the “[s]ix-year leader in net acute care hospital growth.” Additionally, KLAS identified only two hospitals that left Epic in 2016, both of which did so involuntarily because they were spun off or acquired. However, the vendor saw a “[s]ignificant decline in Paragon market share.” KLAS found few of McKesson’s Paragon EHR users were pleased with the system’s functionality. Though it held 10.8 percent of the market, KLAS found CPSI wasn’t frequently considered among community hospitals. Medhost, which held 4 percent of the market, had a slight decrease in its overall acute care market share. ROBERT SIEGEL, HOST:The CEO of United Airlines is apologizing again for the violent removal of a passenger who was dragged off a plane last month. Oscar Munoz and other airline executives were grilled about persistent customer service problems. Munoz calls the entire episode a mistake of epic proportions. SCHAPER: Munoz says United will now reduce overbooking of flights. William McGee of the Consumers Union told the committee that poor customer service is a product of airline consolidation, less competition and cost-cutting measures like outsourcing. aims to finally bridge that gap by bringing a totally kid-friendly bookshelf and book reading experience to the iPad. A lot of parents tend to want to limit “screen time” for their kids, and push them to read more books instead. So for many kids under the age of 12 or so, the iPad is for games and movies, and reading is mostly done on physical books. When it comes to stimulating kids’ imaginations and building their reading and vocabulary skills, it’s hard to get better than good old fashioned books. Co-founded by online gaming veteran Suren Markosian and former YouTube exec Kevin Donahue, Epic is an all-you-can-read app aimed at kids aged 12 and under that provides access to some 2,000 titles for online and offline reading.